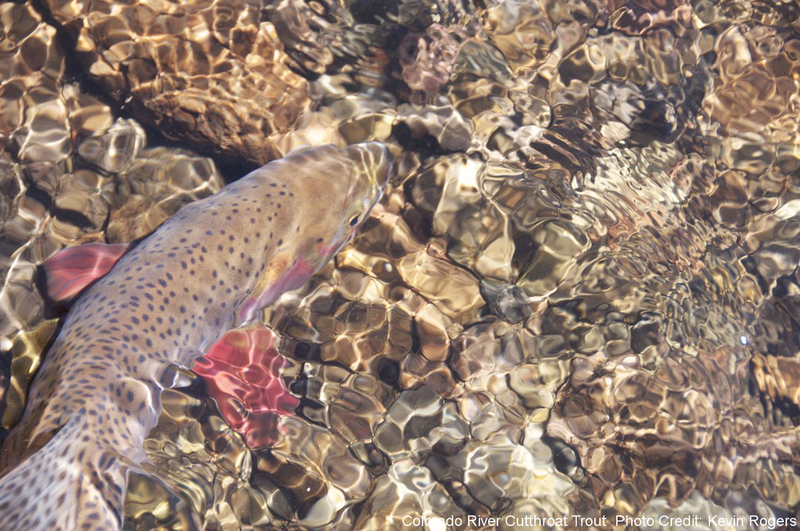 The Colorado River Cutthroat Trout (Oncorhyn chus clarkii pleuriticus) once occupied portions of the Colorado River drainage in Wyoming, Colorado, Utah, Arizona, and New Mexico. The CRCT currently occupy 3,022 miles of habitat - including 1,359 miles in Colorado (10 percent of historic range in Colorado). The Lower Green Geographical Management Unit (GMU) contained the largest amount of occupied habitat (791 stream miles), followed by the Upper Green GMU (691mi), Upper Colorado GMU (601 mi), Yampa GMU (404 mi), Gunnison GMU (292 mi), San Juan GMU (119 mi), Lower Colorado GMU (64 mi), and the Dolores GMU (60 mi), respectively (according to the Western Native Trout Initiative Report, 2016). Similar to other native trout species in Colorado, the CRCT has been significantly impacted by habitat fragmentation, resource development, hybridization with rainbow trout, competition from non-native fish species, aquatic invasive species, and other natural and human-cased changes in habitat. 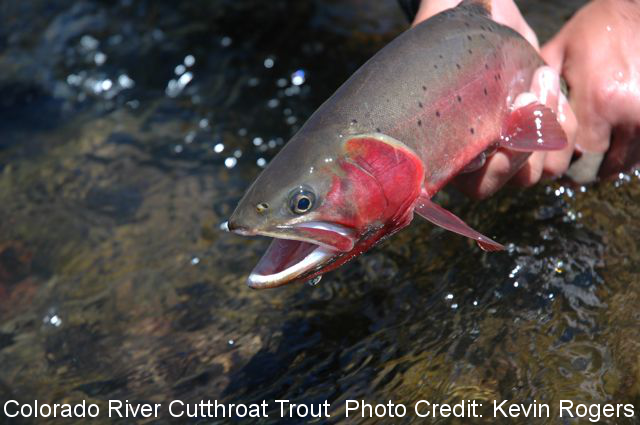 The Colorado River Cutthroat Recovery Team was established to corrdinate efforts among a handful of key states (inlcuding Wyoming, Utah, Arizona, and Colorado). There has been significant progress made in 2017 related to CRCT recovery. The completion of the Hermosa Creek Project near Durango, Colorado, is one of the major ones. All said and done, the creek will provide the largest continuous stretch of native CRCT in Colorado.